Sanctuary Pet is a common Agility creature card. It is part of the Dark Brotherhood story set. 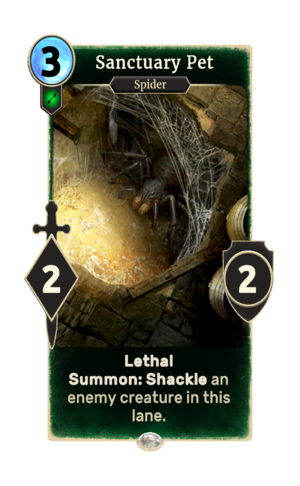 This card is based on Lis in Skyrim, who is referred to as the Dark Brotherhood's pet spider in the Falkreath Sanctuary. This page was last modified on 7 October 2018, at 16:06.